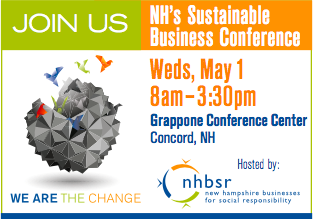 New Hampshire Businesses for Social Responsibility convenes, inspires and supports businesses and their community stakeholders to build a more sustainable and prosperous state for all. 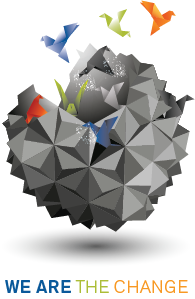 We inspire business practitioners of all levels of experience through shared storytelling and best practices. We support businesses and their change agents to move from idea to action. NHBSR's 17th Annual Spring Conference was a wild success, see pictures and videos if you missed it! Watch Leith Sharp's keynote here. Watch the CEO Panel Discussion here. Transitioning to a clean energy economy will improve our own competitiveness, and our state’s prosperity, health, and security. Do you want to add your company name to the Principles? Take a tour through the gallery of Sustainability Slam photos! Blog: How Would Your Company Respond to a Wake-up Call?